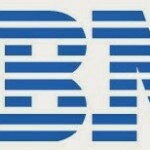 IBM freshers and experienced walkin drive for Security Analyst Position On 13th October 2018. BE, BTech Graduates 2017, 2018 are eligible for this walkin drive. More details regarding IBM Walkin Drive is given below. IBM hiring Security Analyst with 0-24 months of experience in Security Endpoint Product. 0-12 months (Fresher with any engineering graduate with 60% of aggregate). 1-2 years (Experience in Security Endpoint Product). Early joiners will be targeted for this requirement (Immediate to 2 weeks of notice). Online Assessment (For 1-2 years Security experienced only).